Up for a charity challenge? Do it for the Dales! Help look after your favourite places in the Yorkshire Dales by doing something you love! Whether it’s biking, baking, swimming or hiking we’ll support your fundraising efforts every step of the way. We’ve got ideas to inspire you, useful tips and everything you need to set up your own fundraising event or charity challenge in our fundraising toolkit. 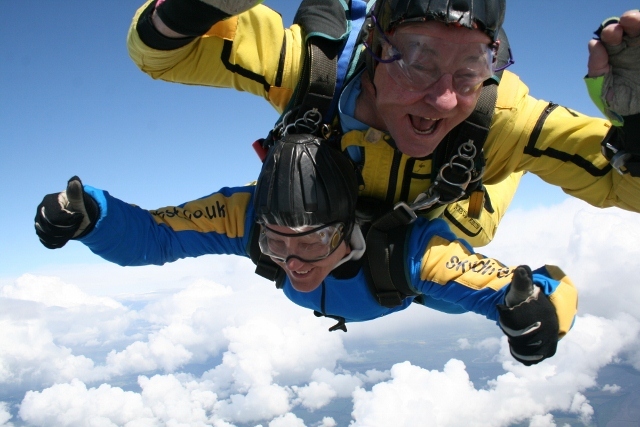 Fundraising for the Yorkshire Dales - the sky's the limit! Don’t forget to let us know about your fundraising by emailing us at info@ydmt.org or you can set up a JustGiving fundraising page. We can also send you posters, help to promote your event and give you other kinds of support.